G'morning, Lookout readers. It seems like it's one of those weeks where you're alternately thinking "It's only Monday..." and "It's already Monday?" Was anyone else on I-25 yesterday around 4 or 4:30 p.m. on the north side of downtown? Katy and I were headed northbound and hit heavy traffic around 6th Avenue, which turned out to be curiosity slowing from where an allegedly stolen pickup was stopped by officers from several agencies — in the southbound lanes, just south of 58th Avenue — using a PIT maneuver after the suspect allegedly ran over the truck's owner while stealing it at a car wash in Longmont. The owner suffered serious injuries but is expected to recover. After that added an hour to what we expected to be an easy Sunday afternoon drive, I admit I was grumpy and may have driven a bit impatiently on the rest of our trip. That reminded me to remind you to stay calm and soldier on, and stay safe out there. There's a lot of big news today, so I'd better leave you to it. A bill to ban licensed therapists from counseling LGBTQ youth on changing their sexual orientation — so-called "conversion therapy" — gets its first hearing at the state capitol this week. A Denver police officer has been suspended for 10 days after accidentally discharging his weapon as he was turning on its attached flashlight while responding to a call. A snowboarder died while attempting a jump at the Snowmass Mountain terrain park Sunday morning. Hotel occupancy in metro Denver declined slightly last year — but most likely because so many new hotels opened. After last-ditch efforts to come to agreement on Saturday ended with the teachers union walking out of the room, a strike looked inevitable. Denver Public Schools negotiators invited union representatives to continue discussions on Sunday, but no talks took place. On Monday morning, picket lines began forming at Denver schools well before the first bell. The district says all regular K-12 schools will be open and staffed during regular hours today, but preschools will be closed and charter schools may have different plans. More details, tips and resources in our story. BONUS: Ryan Warner spoke with teachers and district representatives on Saturday after talks broke down. You can find that on our Facebook page and Twitter stream, both of which you can follow for updates today and throughout the strike. Any time you find yourself asking, "What's the deal with...?" odds are you're not the only one. 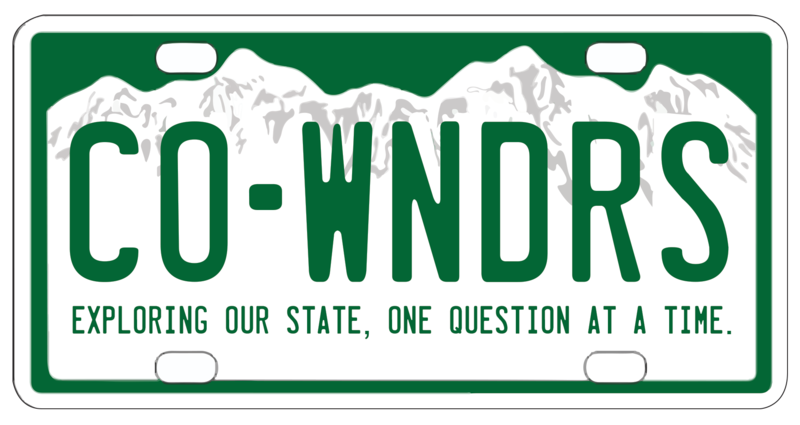 In walks Colorado Wonders, where CPR News will dig up the answers to your burning questions about the Centennial State. A tough question in Colorado: Which is more dangerous, skiing or hiking? Coloradans are not known for their safe, tame recreational activities, and two of the by-far most popular are skiing and hiking. Remember when it was still possible to hike less than two hours away from the metro area and not see other people every five minutes? Both activities carry very real risks. Health reporter John Daley explored how the two compare to each other, and where each falls overall among dangerous outdoor pastimes Coloradans enjoy. Got a Colorado question of your own? Fire away. Denver's Globeville and Elyria-Swansea neighborhoods are slated for major changes with the remodeling of I-70 and other projects. Now on the verge of major gentrification, the tight-knit communities are fighting back and want to effect change on their own terms. Grammy-nominated Colorado-native jazz saxophonist Tia Fuller tells Colorado Matters about that time she learned to dance in heels — and a whole lot more — from Beyonce. The First Amendment question in the Masterpiece Cakeshop case was settled by the Supreme Court last year. Except not really. Now the same question is likely headed back to the justices. Colorado's first woman commissioner of agriculture, Kate Greenberg, knows intimately the struggles Colorado farmers and ranchers face. She spoke with Colorado Matters about mental health in the agriculture industry, the difficulties of recruiting a younger generation and other challenges. That noisy A Line train to the airport should finally be able to (mostly) stop its honking come March 1. Colorado Springs and Fort Collins both ranked in the top 10 cities nationally for job growth in 2018. The president of the International Ski Federation referred to "so-called climate change" a couple of times recently and now a group of winter sports athletes and the world's largest snowboard maker think it's time for him to resign. After a difficult week at the world championships, Lindsey Vonn has retired as the winningest female ski racer in history after taking bronze in her final race. "Pharmacy tourism" is in full swing, with hundreds of thousands of Americans — maybe as many as a million — traveling internationally to bring back supplies of cheaper prescription drugs. President Trump has said several times he may declare an emergency to build a wall on the southern border, but when Congressional lawmakers gave presidents that power they also reserved the power to block them — though they've never actually done it. What path leads school shooters to violence? There are many contributing factors for each, but no single right answer.